Magnificent panoramic sea views from the luxurious bedroom, which is light and spacious with a king-sized bed boasting the ultimate comfort of a Vi-Spring mattress. Local paintings, photographs and books are in abundance, alongside maps and walking routes for you to study at your leisure. Crisp, white linen and fluffy bath towels to pamper you. French windows lead onto a small flower filled balcony. 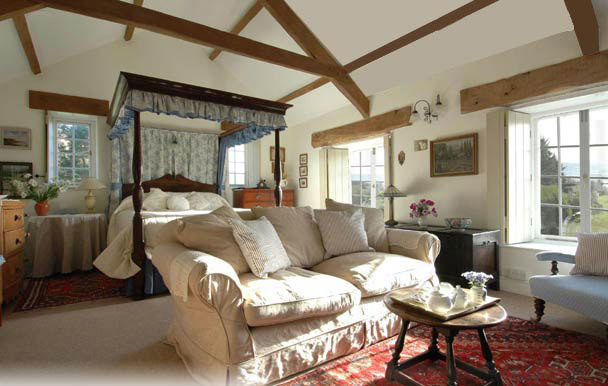 There is underfloor heating for the chillier times and comfy sofas to snuggle up on. 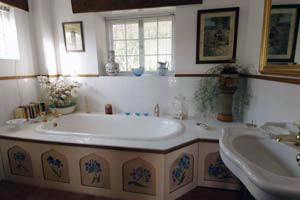 Next to your bathroom, which has a large Victorian bath and double shower, is a drying room. There is also television, CD player, DVD , iPod Dock and a small fridge. 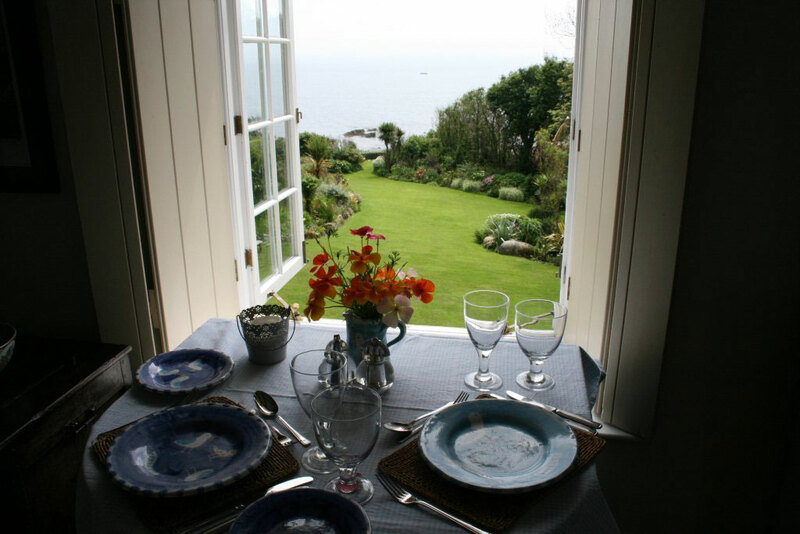 Guests choose breakfast from an extensive menu that is served either, on the geranium filled terrace or, in the stunning garden room looking down to the sea.